Direct Deposit your paycheck or tax refund. Add cash at thousands of locations or by using your mobile device. Shop everywhere Visa debit cards are accepted and get cash at ATMs. Send money to anyone, everywhere or pay your bills easily with just a few clicks. "When my job required direct deposit I needed a safe easy way to get my money, without having my job having direct access to my checking account and AccountNow did that for me. I love it." Achieve financial freedom with an AccountNow Gold Visa Prepaid Card. An AccountNow Prepaid Card account can help to manage your money safer, easier, and cheaper. Learn about the other benefits of having an AccountNow Prepaid Card account. A great alternative to a checking account. AccountNow Gold Visa Prepaid Card work similar to an online checking account. Our prepaid cards have the word "DEBIT" on the card and work in a manner similar to a bank-issued debit card from a traditional checking account. Not only can you make purchases and withdraw cash with our prepaid card, but you never have to worry about overdraft fees because you control your spending by how much you load. Avoid check cashing fees by direct deposit of your payroll of benefits check onto the AccountNow Gold Visa Prepaid Card. There's no charge for doing direct deposit, so you'll never have to pay to cash your payroll or benefits check when you use our direct deposit service. There is no risk of late or overdraft fees. No need to pay for postage or money orders when you use our easy Online Bill Pay Service. Your AccountNow Gold Visa Prepaid Card is protected against fraud with the Visa Zero Liability policy**, conditions and exceptions apply (see Cardholder Agreement). This can protect you from unauthorized charges made to your prepaid card in case your card is lost or stolen. Keep your money safe in a prepaid card account instead of carrying it around in cash. 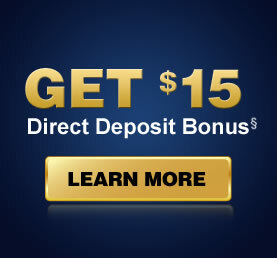 Your deposits are FDIC insured through the issuing bank. No credit check. If you have bad credit history or no credit at all you can still get an AccountNow Prepaid Card because we don’t do a credit bureau check to issue a card. Even if your banking history isn’t great or you are on ChexSystems, you are still eligible to get one of our prepaid cards.